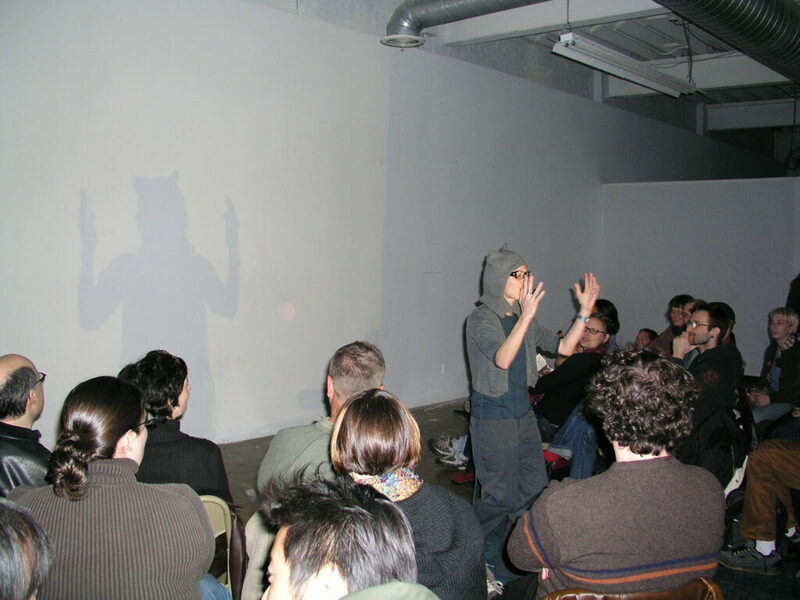 Performance Spaces for Domestic Animals is a 30-minute stand-up theory session that examines collaborations between artists and so-called domestic animals. Questions raised include: How and what can humans perform for animals? How can boundaries between performer/audience, and animal/human be shifted in ways that are truly fantastic for all parties involved? The central focus of the session will be recent video and performance work I have produced with my cat, Sabre. Through these works I imagine or propose relationships based on hybridity, ambiguity and good times, rather than the control-and-management paradigms, which currently dominate human and animal exchanges. The nature of performance and the performance of nature will be reconsidered through an embrace of the everyday, and the sentimental. Hands-on lab component and half-time yoga break included. Though textual play and analysis have been my strong suit, I am shifting from a concentration on modes of critique and deconstruction to those of attention, exchange, imagination, animation, and hands-on construction. One of my current projects is The Institute for Feline + Human Collaboration, stationed in the Squirrel Street area of Banff, Alberta. The Institute is a site for ongoing projects in interspecies communication and cohabitation. Current research includes an examination of the ways animals are held in urban environments, and how interactions with animals inform our understanding of interactions with machines.